The folks at Nintendo say that plenty of eShop improvements are headed our way, including demo capabilities. Fans aren't exactly happy with the way the eShop works on the 3DS and Nintendo has definitely taken notice. They're going to be launching some big improvements to the eShop and the 3DS starting by enabling sleep mode downloads. Instead of having to leave your 3DS on the entire time it's downloading something, you can simply set it to sleep mode and pick it up later with your download completed. Nintendo is introducing another feature too, which will make both fans and publishers happy. 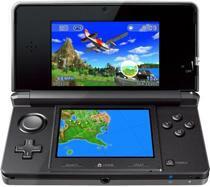 They're putting demo functionality into the 3DS. That means that players will be able to check out games before they buy them and game makers will be able to let people get a taste of what they've got to give. Also down the line is the ability to purchase games for your 3DS through your smartphone or a traditional web interface.